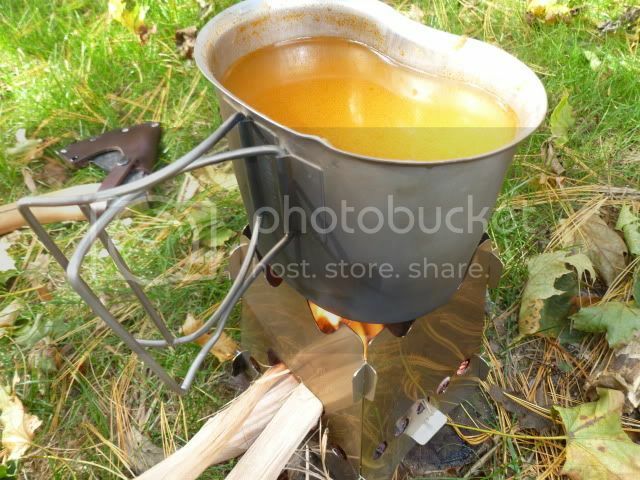 Anybody who knows me will tell you that I can a fan of camp stoves, particularly stoves that are easy to transport and use natural material for fuel. 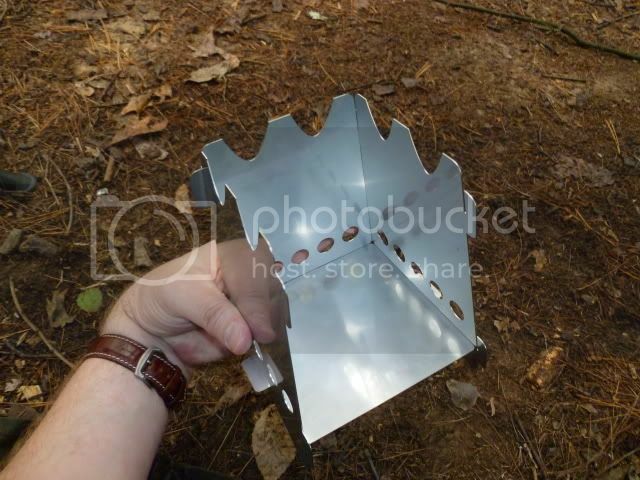 A while back I bought a two pack of the Swiss Ranger Volcano Stove and have used them while in the woods and while camping with the family. That stove works pretty well, but it has one flaw that that is evident right from the start...air flow. It doesn't take very long before the air ports at the bottom of the stove get plugged with debris which forces you to clean it out with a small stick every so often. Depending on that you are trying to cook, 10-20 times of doing that and you can't wait to be done cooking, which should be a fun experience. 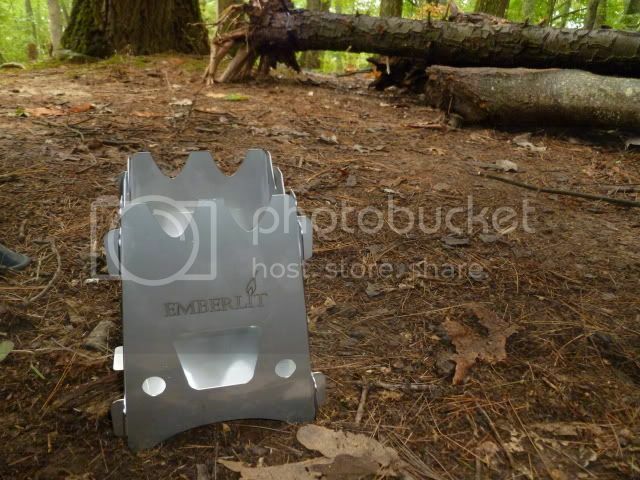 I recently had the chance to work with the stainless steel version of the Emberlit Stove while out on a solo camping trip. 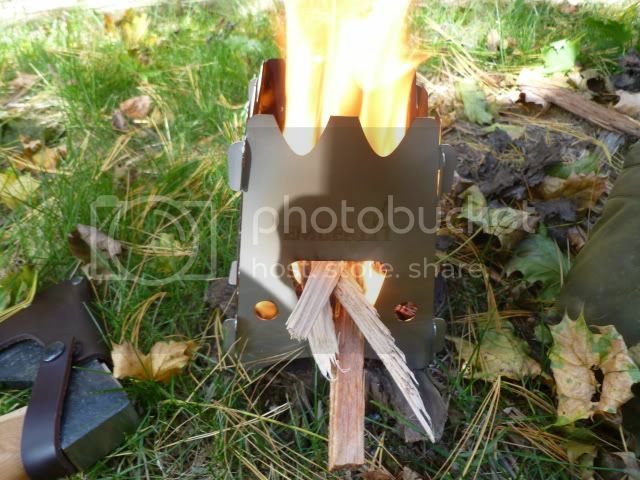 This compact little stove also uses natural material for fuel, much like the Swiss Ranger. The main difference (and a big plus) is that the Emberlit collapses down to a nearly flat state and fits in a zip-lock bag for storage. 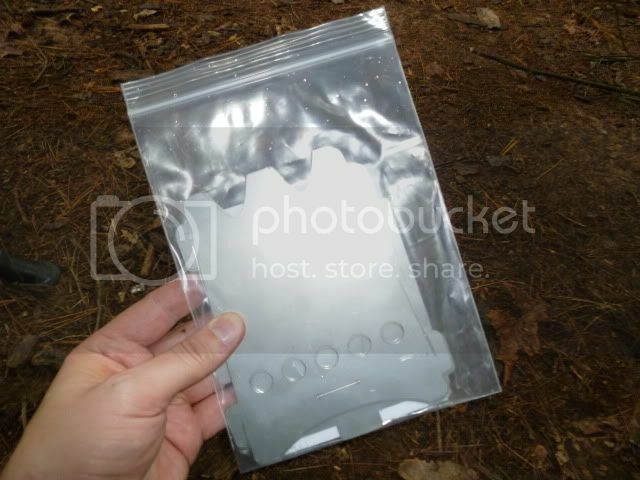 This is great because just like any other time you'e burning wood, you are going to get ash and soot on your stove and with all of the pieces contained within zip-lock bag, you don't need to worry about getting you gear dirty. Since the stove is flat while broken down, it fits in your pack easily and at only 11.3oz, you don't need to worry about added weight. Assembly is pretty straight forward, and the included instructions make it fairly easy to accomplish. It is a good idea to read the instructions the first time you assemble the unit. Starting with the bottom of the stove, you add the three walls that have the slit towards the bottom used to hold the base in place. The walls are help securely together by stainless tabs that stick out on both sides of each piece. Once you have the three primary walls assembled, it's time to add the final piece which consists of the fuel port for feeding materials into the stove while it's in use. With one side hinged together, you need to twist the stove slightly to assemble the final side. It doesn't require any effort and from start to finish, takes less than a minute. 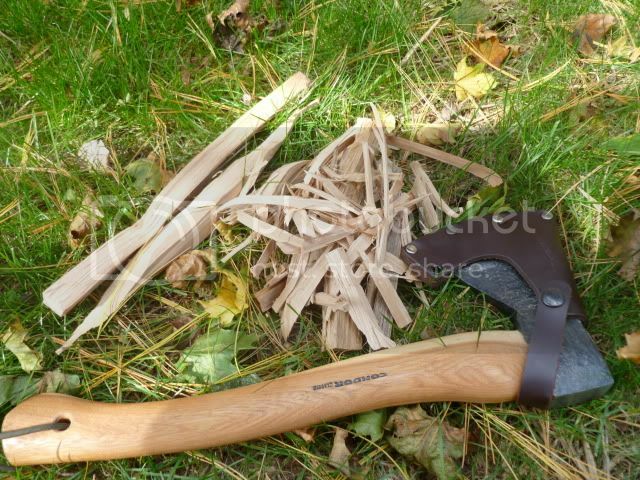 With my hatchet, I processed some of the wood I had set aside for my fire that evening. 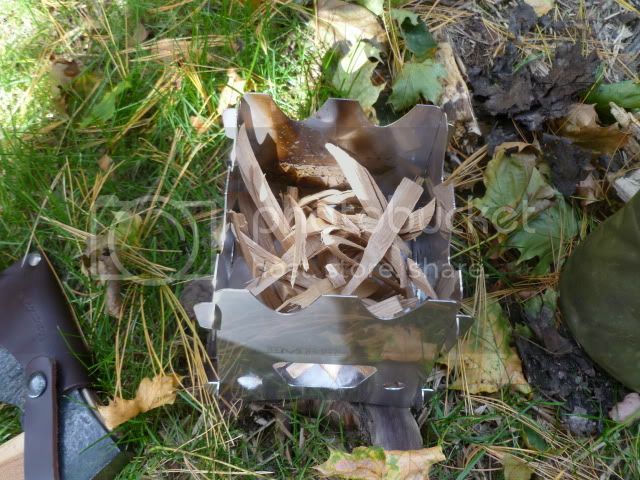 One thing to keep in mind is that you don't need to cut up wood to use this stove. Just by using a handful of twigs and having a small stack or larger sticks on hand will get you by. 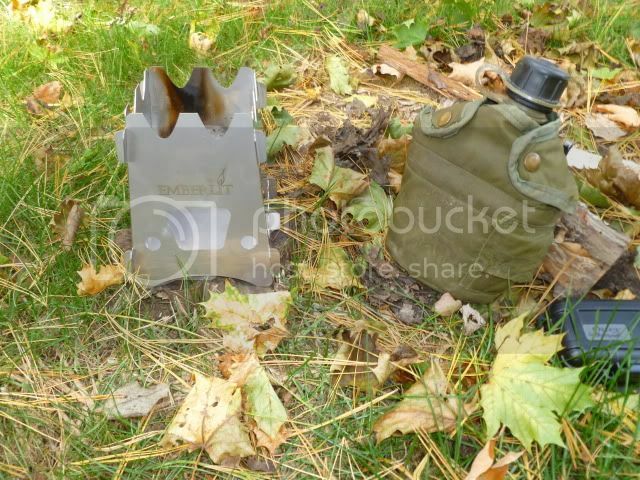 I had my canteen and canteen cup ready to go. For a quickie meal, I used a regular can of Campbell's veggie and beef. I added the smaller sticks I had gathered and the feathered wood I had processed earlier. At the base, I added a few cotton balls to get things rolling along. 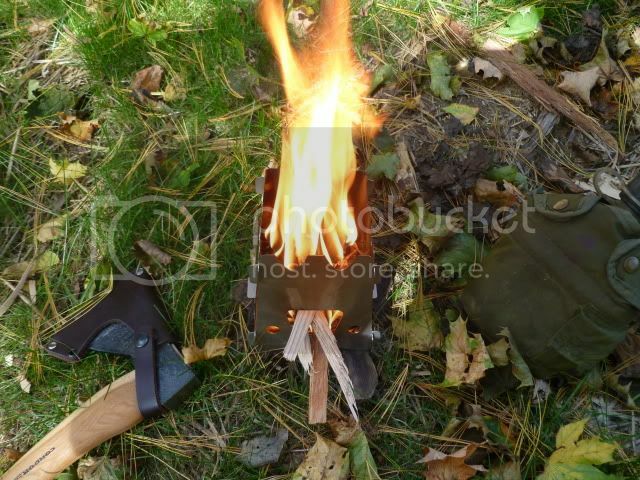 To light the fire, I used my trusty Auora Fire Starter. Two strikes later, the cotton ball caught and the tinder took off with no effort at all. The first thing I noticed was that the airflow into the stove was great, which allowed the wood to burn nice and hot right from the start. As the first layer of wood started to produce some coals, I began feeding some larger pieces of wood into the fuel port on the side. Just like the instructions said to do, as the wood burned, I would slowly push the larger pieces into the stove. The flame was always even and strong. 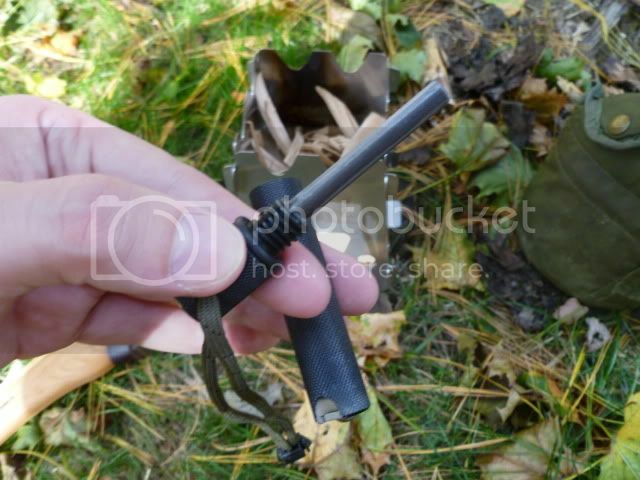 The one thing I had problems with was finding a way to balance my canteen on the top of the stove. It took a little monkeying around, but I did finally figure out a way to balance the cup on the edge. 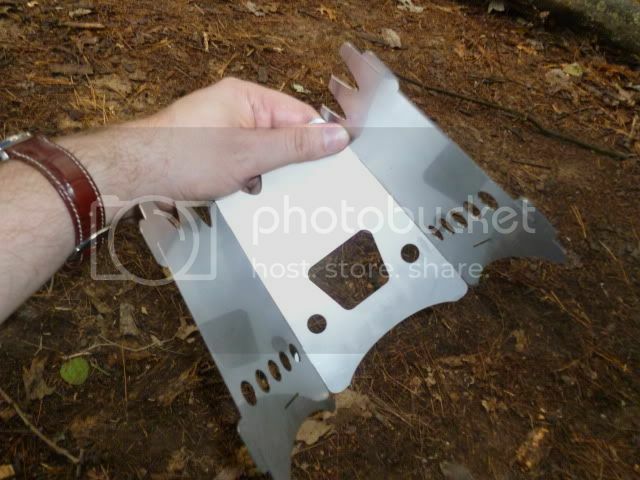 Later on, I would find a a YouTube video showing how someone used a square piece of wire fencing to create a grill-top for smaller cups (video posted below). Something the size of a tea kettle or a small frying pan wouldn't have any issues at all. I still managed to balance the cup on the stove and it didn't take very long at all before I had a hot meal ready to eat. 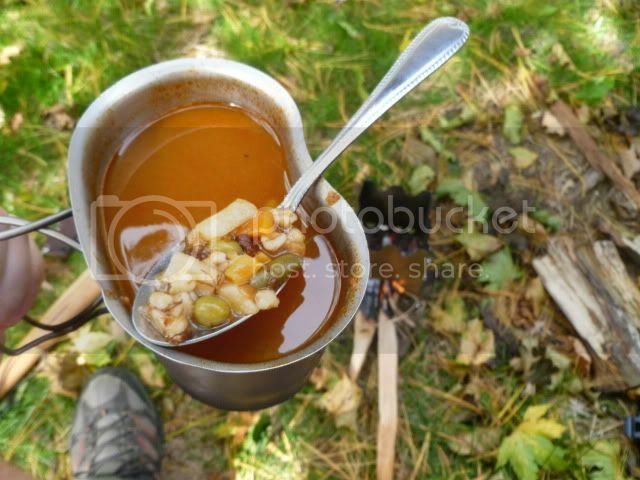 It only took about 6-8 minutes to heat up a canteen cup full of soup; I'd say that is a pretty short amount of time to wait for a hot meal! - Compact design for easy transportation. - Clear instructions that was easy to follow. - Cooks food fast and even. 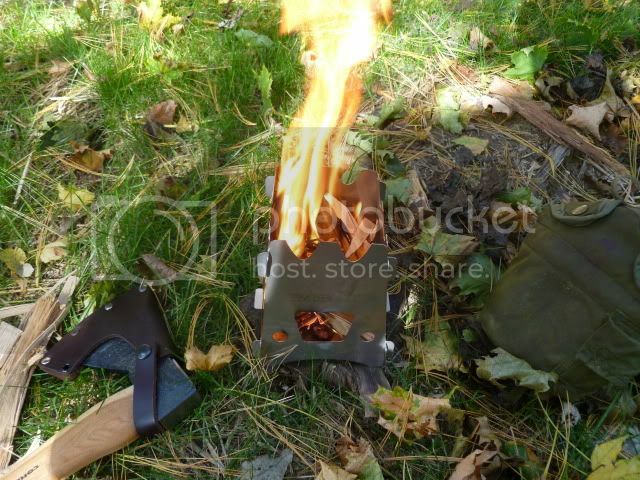 The pros outweigh the cons substantially and I would highly recommend this stove for anyone looking for an alternative to carrying around a larger stove and it's fuel. Special thanks to Mikhail for allowing me to review his product!! Thanks for reading and let me know if you have and thoughts of questions on this product! 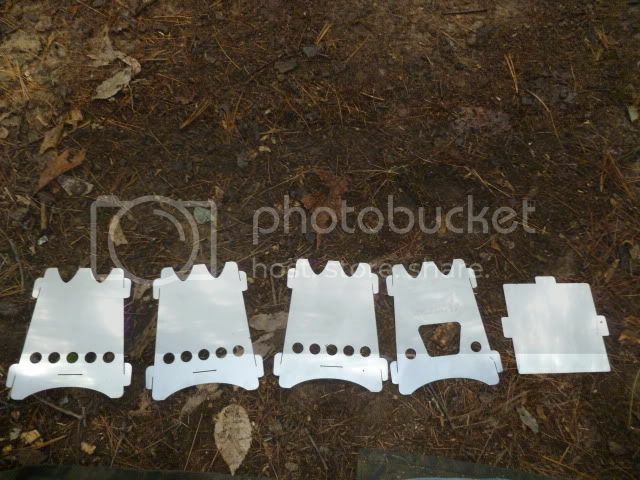 This stove is the greatest and as for using small cups there are now two slats of metal to make a cross on the top or just use 2 aluminum tent pegs across the top. 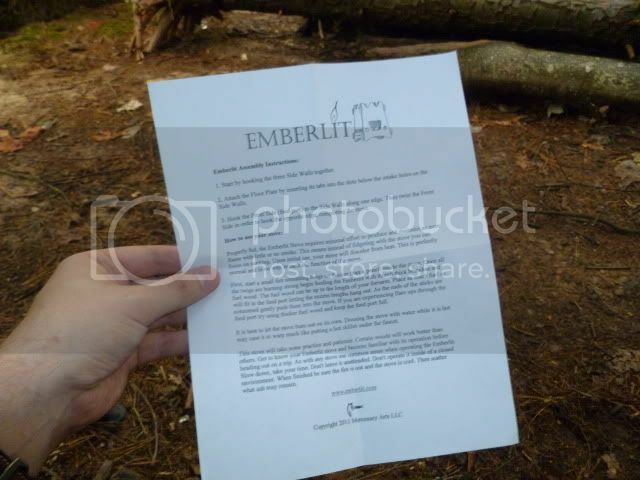 i too have an Emberlit and i love it! 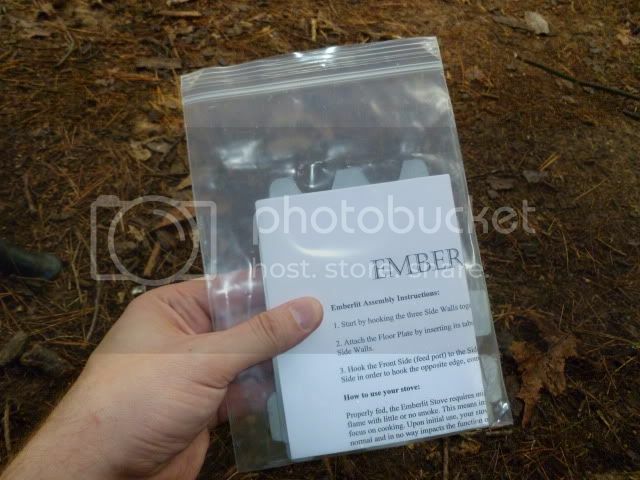 i recently bought an Esbit alcohol stove, and use that inside my Emberlit. it works great! 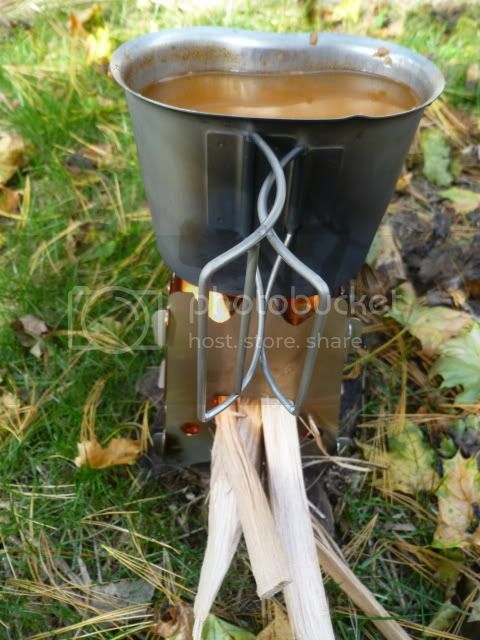 Great wood outdoor stove for using our better place and pleasuring this blog me to cooking look forward...wood furnace Buy a Greenwood wood boiler that saves 70% on your home heating bills. We offer the world-class wood gasification heating appliances on an affordable budget. Pretty nice article I do also Fireplaces and wood stoves learn a lot from this site. I enjoyed reading your post. Thanks for the nice information. I have read your post. I found this post to be very informative and helpful. I will have to recommend you to my friends. Extraordinary wood stove. Thank's for sharing. It's amazing place to go for trip & I'm really impressed to see this wonderful picture of this wood stove & place. Thank's for tips. I found this post to be very informative and helpful. I will have to recommend you to my friends. Extraordinary wood stove. Renovation Builders are providing good home renovation services. Informative post! I have learn a lot of information, Thanks for sharing it. If you wants to know fuhrer more about kitchen, Perth Kitchen Extension, Can help you.